The uniform shop will return to regular hours from Monday 29th January 2018. 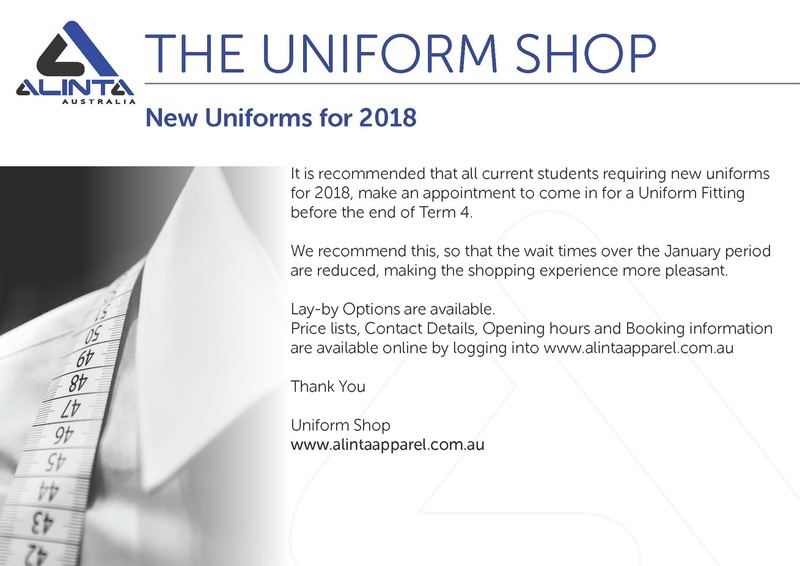 Alinta Apparel operates a uniform shop onsite at our school during school term. An online store is also available. Online orders can be collected from the school or posted home.